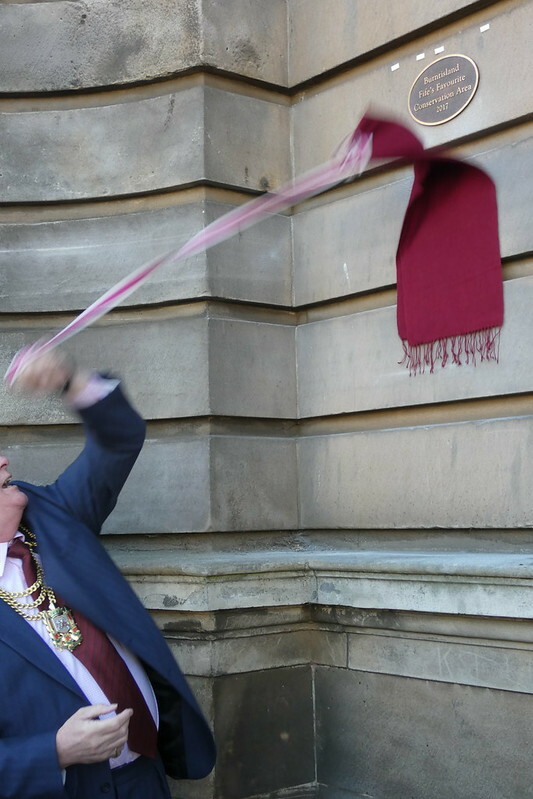 Today Jim Leishman unveiled a new plaque outside the Library. Burntisland came top in an on-line poll beating other Fife towns including Cupar and St.Andrews. The poll was held to mark 50 years of Conservation Areas. Fife has 48 Conservation Areas. 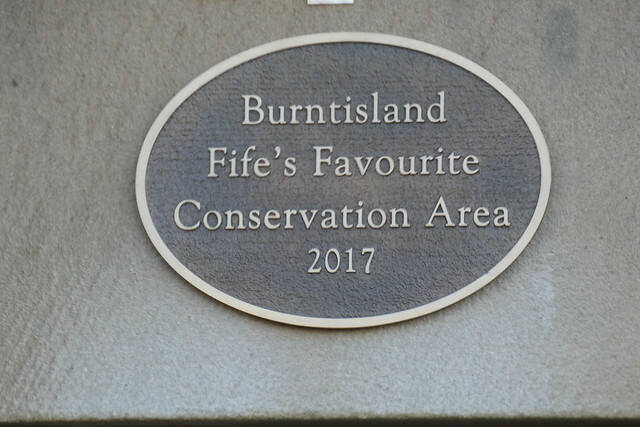 Burntisland’s Conservation Area Appraisal and Management Plan (well worth a read – or at least a skim – to see some of the town’s assets that many people, residents and visitors, may not be aware of.